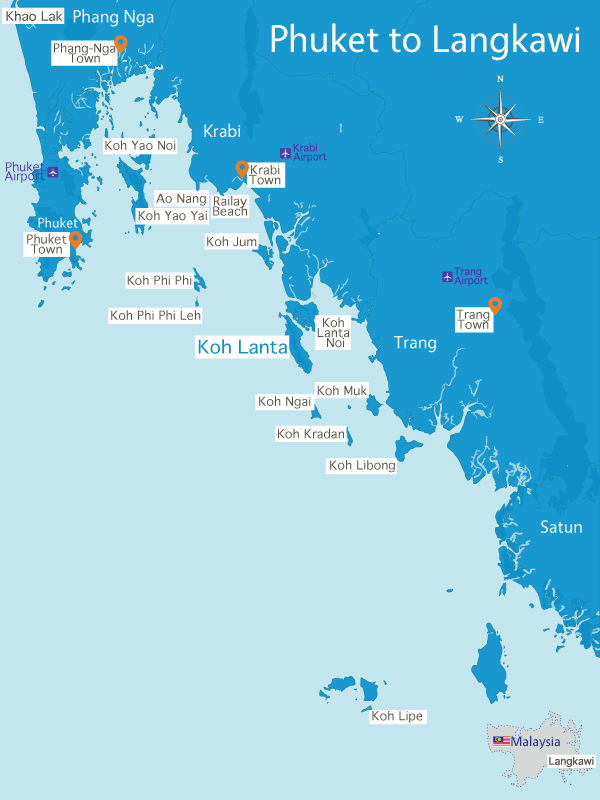 Hidden Cottage comprises two identical 2 bedroom villas with a shared swimming pool only 100 metres walk from Ko Lanta’s Long Beach. 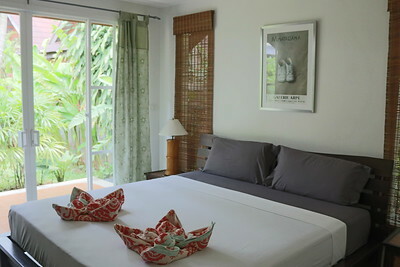 The Hidden Cottage is actually two identical two bedroom villas sitting in a private garden area with a private pool in the middle – the pool is shared between the villas so there may be the occasional interaction with other guests. 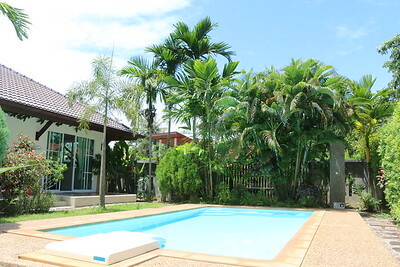 Built in a quiet location offering a great escape the villas are only one storey. Inside the villa at the back are two fully aircon bedrooms: each bedroom sits opposite each other with a good size bathroom in between. 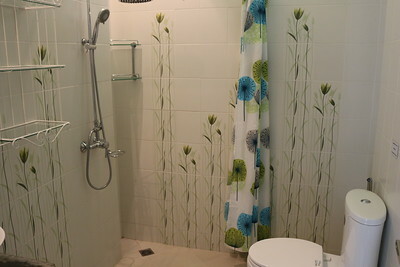 The bathroom is shared between guests and has a hot water shower. 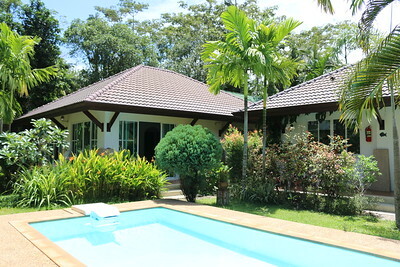 The front of the villa is for daily use with an open plan lounge area with sofa and chairs. 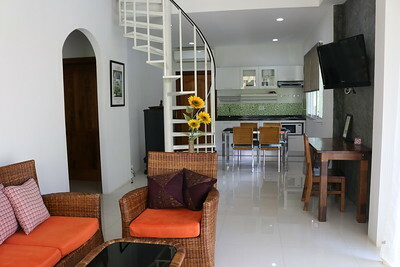 The dining area has a dining table and four chairs in between and at the back along one wall is a compact complete kitchen. 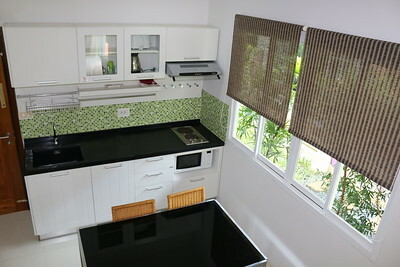 The kitchen includes induction cooking plates and extraction fan and Microwave. Cupboards are full with table ware and cooking utensils. There is also a nice desk along one wall perfect for guests needing to use a laptop. Outside you have your own terrace area with tables and chairs, a nice haven to relax in the day. The pool area as mentioned is shared with one other villa, also included near the pool is an outdoor shower and chairs and umbrellas for shade. 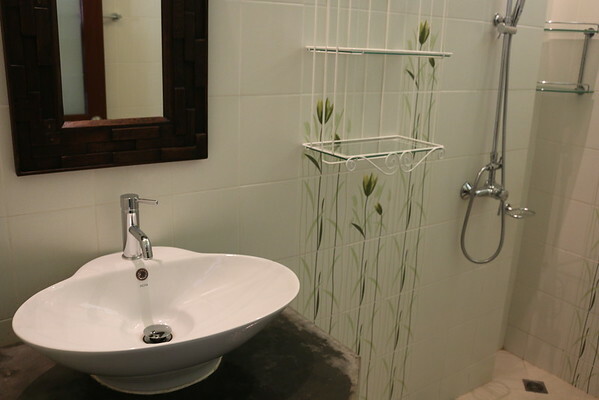 An appealing villa not only reflected by the price but the area to, its only a 100 meter walk to the Long Beach and 30 to 50 meters to the roadside restaurant, bars and shops. 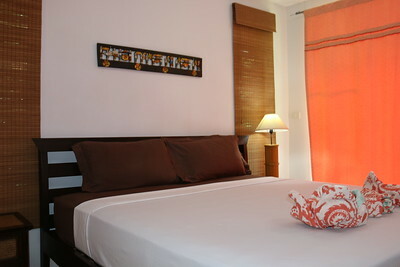 This villa is for a maximum of 4 adult guests with a minimum age of 20 years old. Guests with a baby under the age of 2 are allowed to stay. No guests between the ages of 2 and 20 years old. No smoking and no pets.